The forgoing expression summarizes all thirteen known nuclear magnetic moments to within experimental error.1,2,3 The representation uses ten adjustable parameters, i.e. the magnetic susceptibilities of the ten different types of thermodynamic quark. For more detail about comparisons with measurement click here. 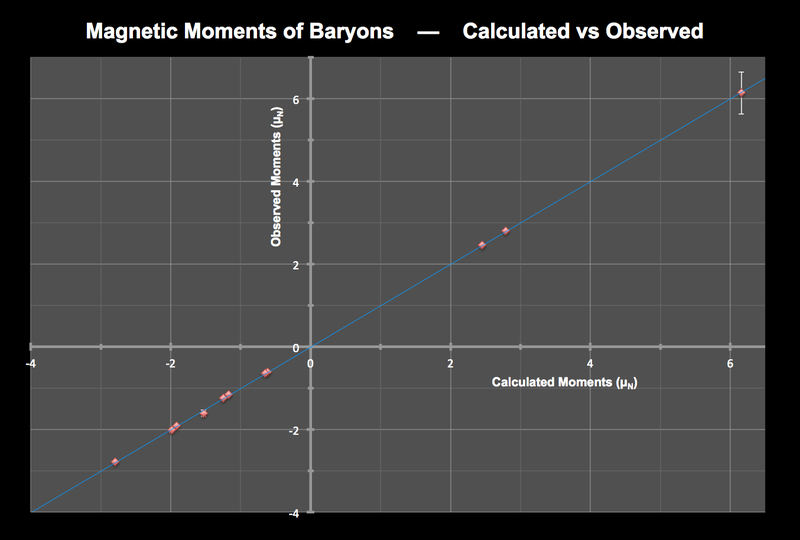 A comparison of calculated and observed magnetic moments for baryons. The electron and muon are far off the scale of this graph, but the moments of both particles are within experimental error as well.